On the drive to church this weekend one of my twins was quizzing our youngest son on questions about science from their homeschool curriculum. One particular question caught my attention. I had to ask my son to repeat it because I assumed I heard it wrong. The question was something to the effect, “If you want to know more about [X scientific topic] do you (a) search the internet, (b) talk to a scientist, (c) consult an expert, or (d) read the Bible. The reason for my frustration is I think this sort of thinking is all too common. And, while perhaps it is well intentioned, it is a shallow and even dangerous way to look at the issues. I think it’s sad that the curriculum made it seem as though Christians can either love science or love the Bible. I don’t think this is an accurate dichotomy. For example, three of my four children have a genetic disorder—including the twin who happened to be reading the curriculum on our Sunday drive. I am thankful that our geneticist, whom we see twice per year, is a Christian. But even if he wasn’t, he is the best in town and he is the one I would want treating my children. I’ve never once asked him to limit his treatment of my children’s condition to the King James Bible. That would be silly. If I was faced with the question, “If you want to learn more about genetics do you (a) search the internet, (b) talk to a scientist, (c) consult an expert, or (d) read the Bible?” I would dismiss it as an unnecessary and forced choice. As a Bible believing Christian I take the Bible seriously. But that doesn’t mean I expect the Bible to speak to every scientific field, rather, I think it speaks, in a general sense, to the larger questions that science cannot address such as origins, meaning, and morality. While science can save my children’s lives, it cannot tell them how to have a life worth living. To quote the atheistic philosopher Daniel Dennett, “There is no such thing as philosophy-free science; there is only science whose philosophical baggage is taken on board without examination.” And as Einstein once remarked, “The man of science is a poor philosopher.” So, it is important that Christians be able to think critically about the philosophy of science and even work to articulate our own theology of science, or biblical values that guide our approach. Here’s a working list I presented to my class regarding a Christians approach to science. 1. God is the creator of the Cosmos (Gen. 1). 2. God is the sustainer of the Cosmos (Col. 1). 4. God has revealed himself in the “Book of Scripture” (2 Tim 3:16). 5. Both books must be interpreted. 6. “The Book of Nature” is tarnished by the fall. 7. “The Book of Scripture” is the inspired and perfect Word of God. 8. In the final analysis, there is no conflict between God’s two books. 9. We must use caution and careful study to understand apparent conflicts at the level of interpretation. 10. God is glorified in our study and pursuit of Truth in both books within the context of an understanding of the falleness of the world and the authority of Scripture. There is much more that can, and should, be said on this topic. But space and time are limited. To return to the opening illustration, I want my son to know he doesn’t have to choose between science and the Bible. Christianity is not at odds with science. In fact, the discipline of science itself is the product of a Christian worldview. 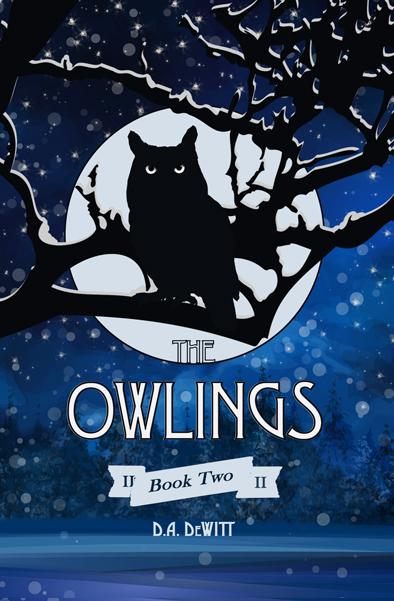 I’ve written the second book in the series The Owlings, which comes out soon. It is a worldview novella accessible for young and old readers alike to introduce fundamental principles of a Christian view of reality through a story of talking owls (Think “Inklings” in animal form). It will be available on Amazon next week. I will announce on Twitter when it is available and would love any help at that point to spread the word. Thanks in advance.